The author, who also wrote science fiction under the name Iain M Banks, has lost his battle with cancer. 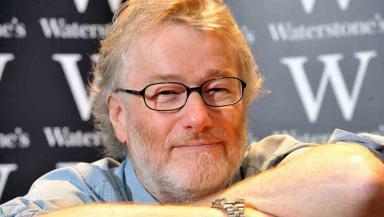 Scottish author Iain Banks has died following a battle with gall bladder cancer. The Fife-born writer, who was 59, had been diagnosed with the disease earlier this year. Since the diagnosis, Banks had written on his website about his condition, telling fans he was unlikely to live more than a year. He wrote: "The bottom line, now, I'm afraid, is that as a late-stage gall bladder cancer patient, I'm expected to live for 'several months' and it's extremely unlikely I'll live beyond a year." Originally from Dunfermline, Banks became one of Britain's most popular authors after his first novel, The Wasp Factory, was published in 1984. Other works include Walking on Glass, The Crow Road, and last year's Stonemouth. He also wrote a series of critically-acclaimed science fiction novels under the name Iain M Banks, beginning in 1987 with Consider Phlebas, the first novel set in his Culture universe. In 2008, Banks was named as one of the 50 greatest British writers since 1945 by The Times newspaper. Banks' final work, The Quarry, an account of the last few weeks of a terminally-ill cancer patient named Guy, is due to be published later this month. He began writing the novel after the diagnosis in March. On his website, Banks also revealed that he had asked long-term partner Adele Hartley "if she will do me the honour of becoming my widow". The pair married on March 29 this year. A message on his website set up to provide updates to family, friends and fans, quoted Adele saying: "Iain died in the early hours this morning. His death was calm and without pain." Fellow authors used social media service Twitter to pay tribute to Banks. Irvine Welsh wrote: "I'm off out to the pub to toast one of my all time literary heroes with a malt." John O'Farrell said: "So sad to hear of death of brilliant and charming Iain Banks. The Wasp Factory was the first book I finished and then immediately read again." Mark Billingham said: "Knowing it was coming does not make it any less terrible. 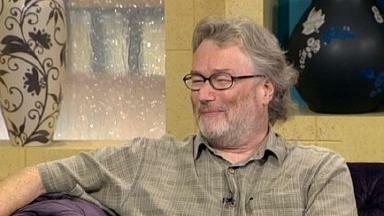 RIP the unique and irreplaceable Iain Banks." In a statement, First Minister Alex Salmond said: "Iain was an incredibly talented writer whose work, across all genres, has brought pleasure to readers for over 30 years. "Iain won many admirers with the humour and forbearance he showed in dealing with his illness. My thoughts and condolences are with Adele, his friends and family."